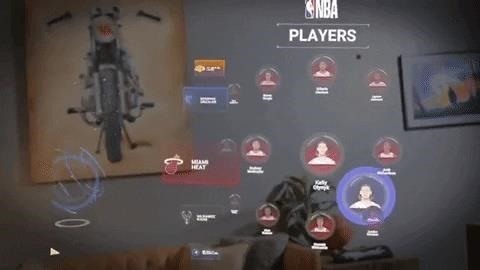 To capitalize on the season, Magic Leap is making its own push, highlighting new features in the NBA app for Magic Leap One. 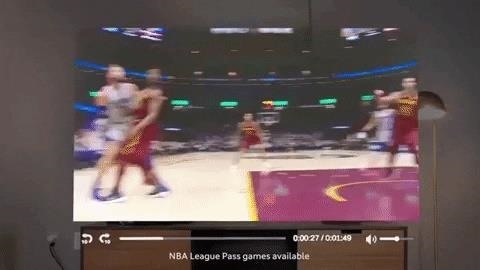 Updated last month, the app now brings full game replays and live games for authenticated NBA League Pass users into augmented reality via Magic Leap's Screens framework, whereas the app previously only offered game clips paired with 3D animated content. Viewers can prop up multiple virtual screens at once, turning their physical space into a virtual sports bar of sorts. In addition, the app has added a stat comparison feature that allows users to evaluate two players or two teams side-by-side. Using a 3D menu, users can select players or teams with the 6DoF controller and drag their thumbnail to the comparison screen. Stats include biographical information, like height, weight, birthday, college, draft year, and years of service, as well as on-court performance metrics, such as points per game, free throw percentage, three-point field goal percentage, rebounds, assists, steals, blocks, and points per game. The stats appear to reflect up-to-date data; for example, Andrew Bogut is listed as a Golden State Warrior, despite having rejoined the team just a few days ago. 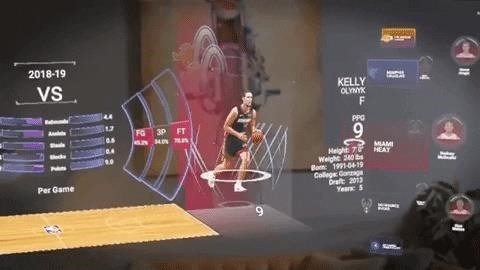 The NBA has been a big proponent of augmented reality, standing as the first league to launch an ARKit app and boasting several teams, such as the Sacramento Kings, Dallas Mavericks, and Los Angeles Clippers, leveraging the technology to engage fans. Likewise, brands catering to basketball fans, like Nike and Bodyarmor, have stepped up their marketing game with AR. The continued iteration with the NBA's Magic Leap app solidifies its stance as a linchpin for Magic Leap's entertainment content strategy alongside titles Tónandi and Dr. Grordbort's Invaders, which were highlighted prominently at SXSW and GDC, respectively.